The head of the Federal Emergency Management Agency almost resigned after he learned that his inspector general case had been referred to federal prosecutors for a possible criminal investigation earlier this week, The Washington Post reported. According to a congressional aide and a senior official familiar with the matter who spoke to the Post, FEMA employees were the ones who convinced Administrator Brock Long to stay. In recent days it’s been reported that Long was the subject of an inspector general investigation into his use of official government vehicles and staff for his personal weekend travel to and from his home in North Carolina. 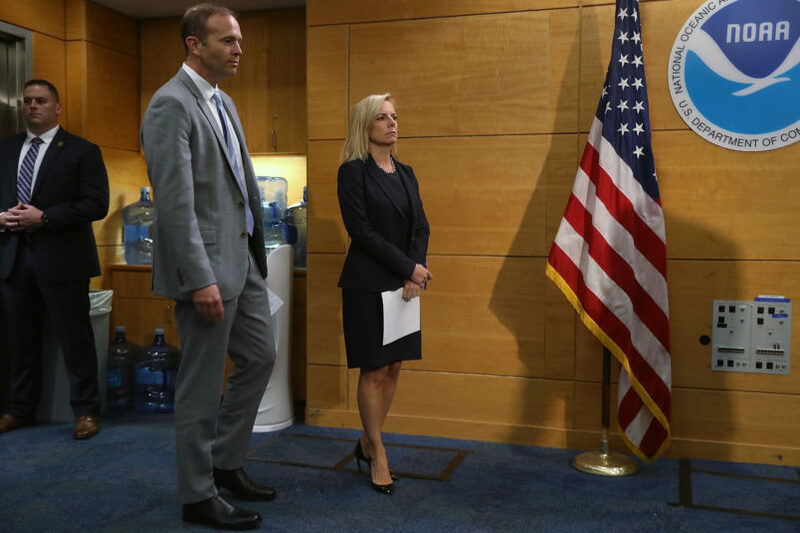 Those reports also detailed a tense relationship between Long and Department of Homeland Security Secretary Kirstjen Nielsen, who requested the IG probe. Nielsen was reportedly irked by Long’s travel habits as well as his tardiness, Politico reported last week. According to the Post, Nielsen and Long agreed on Sunday that they would put their differences behind them for the time being as FEMA dealt with the catastrophic damage of Hurricane Florence in Long’s home state. But on Monday, when the Wall Street Journal reported that the DHS IG had referred it’s probe to federal prosecutors for potential criminal charges, Long felt betrayed, according to the Post. Long has reportedly told colleagues that he thinks Nielsen “has her mind on ousting him,” in the Post’s words.